Game developer and publisher Epic has settled one of its copyright lawsuits against cheaters. Both parties agreed on a permanent injunction which, if breached, will cost the cheater $5,000 in damages. In a separate case, Epic also responded to a letter sent by the mother of a 14-year-old offender that made headlines in recent days. Frustrated by thousands of cheaters who wreak havoc in Fortnite’s “Battle Royale,” game publisher Epic Games decided to take several of them to court. The game publisher accused him of copyright infringement and breach of contract, by injecting unauthorized computer code in order to cheat. According to Epic’s allegations, Vraspir was banned at least nine times but registered new accounts to continue his cheating. In addition, he was also suspected of having written code for the cheats. “Defendant’s cheating, and his inducing and enabling of others to cheat, is ruining the game playing experience of players who do not cheat,” Epic games wrote. While the complaint included all the elements for an extensive legal battle, both sides chose to resolve the case without much of a fight. Yesterday, they informed the court that a settlement had been reached. Epic Games’ counsel asked the court to enter the agreement as well as a permanent injunction, which both have agreed on. The proposed injunction, signed today, forbids Vraspir from carrying out any copyright infringements in the future, to destroy all cheats, and to never cheat again. While there is no mention of a settlement fee or fine, Vraspir will have to pay $5,000 if he breaches the agreement. Based on the swift settlement, it can be assumed that Epic Games is not aiming to bankrupt the cheaters. Instead, it’s likely that the company wants to set an example and deter others from cheating in the future. 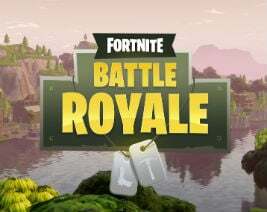 In addition to the settlement, Epic Games also responded to the mother of the 14-year-old cheater who was sued in a separate case. After we first covered the news last week it was quickly picked up by mainstream media, and it hasn’t gone unnoticed by the game publisher either. The mother accused Epic of taking a minor to court and making his personal info known to the public. In a response this week, the company notes that it had no idea of the age of the defendant when it filed the complaint. In addition, Epic notes that by handing over his full name and address in the unredacted letter, she exposed her son. The rules dictate that filings mentioning an individual known to be a minor should use the minor’s initials only, not the full name as the mother did. While the mother may have waived this protection with her letter, Epic says it will stick to the initials going forward. Given the quick settlement in the Vraspir case, it’s likely that the case against the 14-year-old boy will also be resolved without much additional damage. That is, if both sides can come to an agreement. A copy of the stipulation and injunction is available here (pdf). The reply to the mother can be found here (pdf).